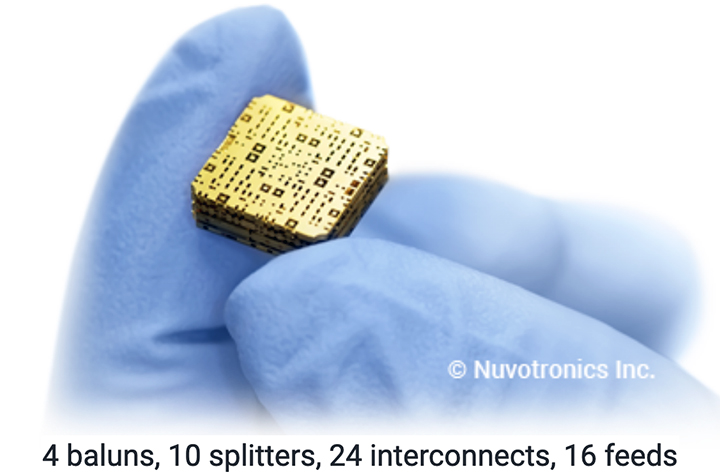 Cubic Corporation (NYSE: CUB) has acquired Nuvotronics, a disruptive technology provider of micro-fabricated radio frequency (RF) products, for approximately $64 million in cash, subject to customary adjustments, with additional earn-out payments of up to $8 million based on future performance. The cornerstone of Nuvotronics’ innovation platform is their patented PolyStrata® technology, which was developed under DARPA and enables the company to design and produce uniquely packaged RF devices, such as antennas, filters and combiners, all of which are components in Cubic’s advanced technology product offerings. Nuvotronics is based in Durham, North Carolina and has strong customer relationships and partnerships across government agencies, defense primes and commercial sectors. With the acquisition of Nuvotronics, Cubic expects to accelerate multiple innovation initiatives across Cubic’s protected communications portfolio and beyond, and to capture significant supply chain synergies, which are expected to enhance EBITDA beginning fiscal year 2020. Cubic anticipates the transaction to be accretive to cash earnings per share by the second full year of operations. Cubic financed the acquisition from its existing credit facility. Bradley H. Feldmann, Chairman, President and CEO of Cubic Corporation, said the company provides integrated mission solutions to solve customers’ most challenging problems. Nuvotronics’ high-performance, reduced size, weight and power (SWaP) capability further strengthens Cubic’s offering in the high-growth, high-margin, Cubic Mission Solutions business. Mike Twyman, President of Cubic Mission Solutions, added that Nuvotronics' PolyStrata technology will significantly enhance the company's protected communications business and position Cubic to address additional high-priority, dual-use technology markets in space, electronic warfare, hypersonic and 5G communications.